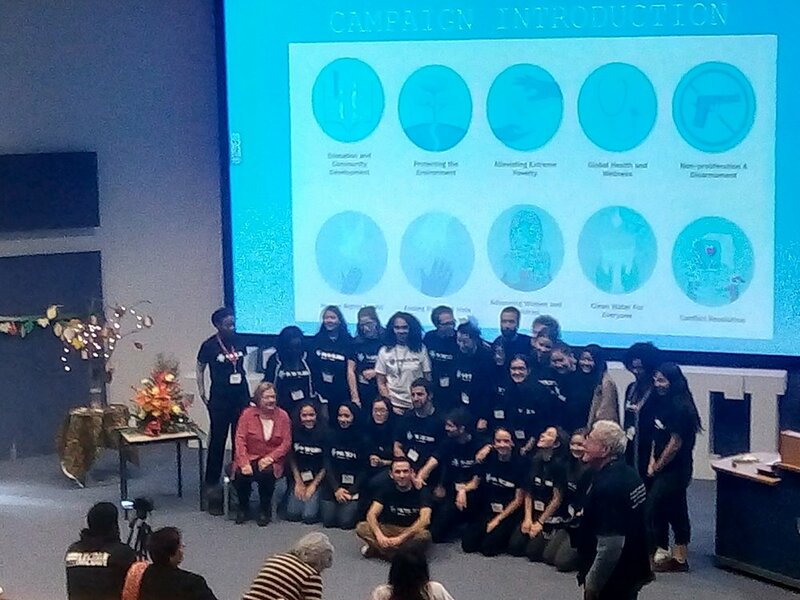 This year’s peace conference – PeaceJam 2017 - was held at Leeds Trinity University over the weekend of Saturday 25th and Sunday 26th November. 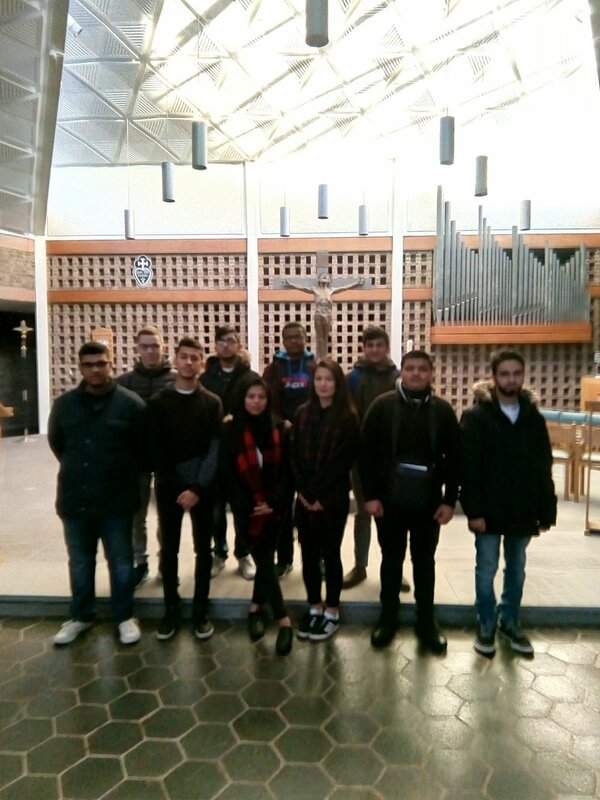 Twelve students attended and took part in a series of workshops and action projects. 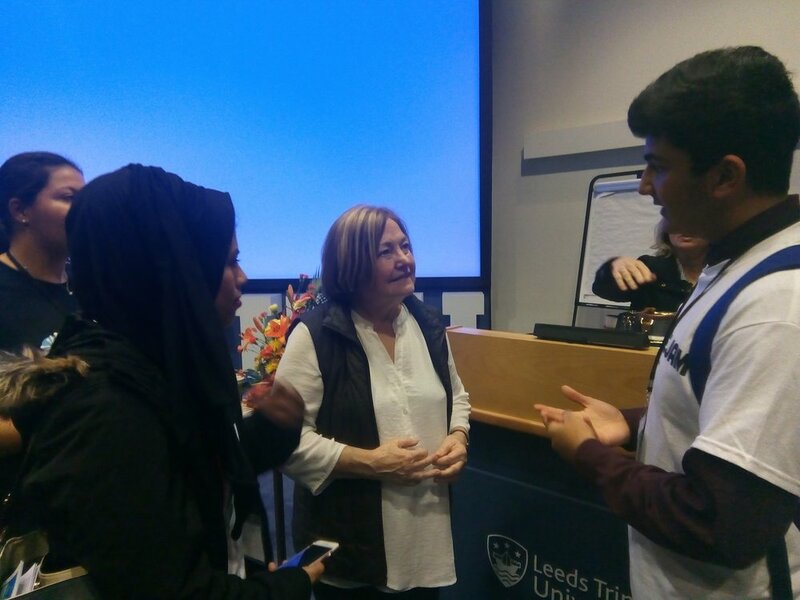 On the Saturday the students heard Mairead Connor Maguire, a Nobel Peace Prize Laureate speaking the work of PeaceJam and took part in a Q&A session where a diverse range of difficult questions were answered by Mairead. After lunch, attendees broke out into peace focus groups to take part in a range of workshops, from Stand up to Hate, The Power of Music, Peace and Refugees – in Search of Refuge to Celebrating Leeds West Indian Carnival. This was followed by an inspirational talk by Heidi Eggleton, a sixth former who founded a 2 class primary school for poor children in Ghana amongst other amazing feats of peace building. 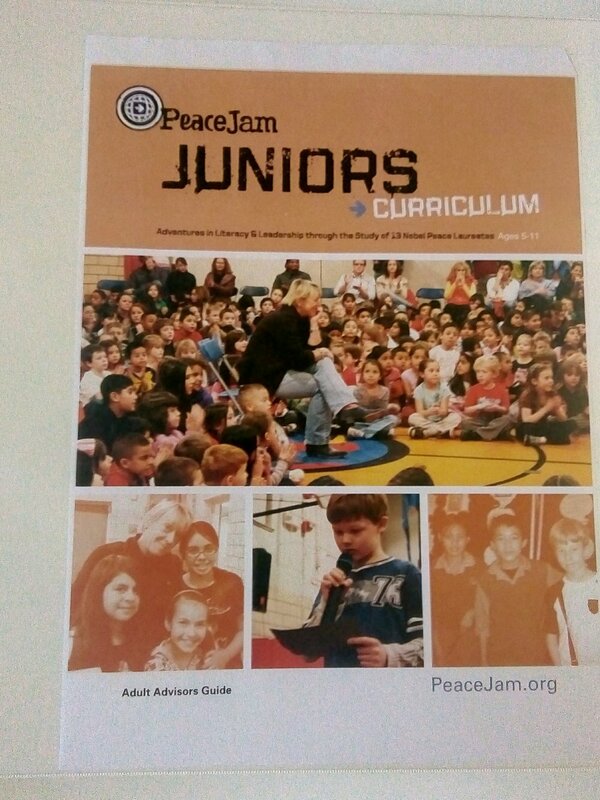 The co-founder of PeaceJam, Dawn Engle then made a foundation address before everyone watched an expert from Desmond Tutu's documentary, 'Children of the Light’s. In the final workshop of the day the PeaceJam reflected on the day’s events in their 'family-groups' with their new-found friends Dinner was a lively affair with lots of networking and the day concluded at 8pm after an amazing Open Mic & Dance Party. Sunday began with a brisk, icy start, but all participants were at school ready for an early start which began with breakfast, followed by an amazing Ceremony of Inspiration where the attendees and mentors shared personal experiences in a safe, welcoming setting as they explained to the 200 delegates gathered in the LTU auditorium what they found to be inspirational in their own lives. After this, ceremony groups returned to their conference families and began to plan their own act of peace, on reconvening everyone learned about the Greek Farm Project, supported by Mount School from York and their work with refugees on the island of Lesbos in Greece where students had made up learning bags for over 600 refugee children so they could read and write during their journey to a new life in the West. Before lunch a series of team building games worked up all the delegates appetite. After a busy lunch, eating, chatting and networking, there was an Action Project briefing before the delegates split into their family groups and were taken across Leeds to see the work of ongoing action projects, such as the Planting for Peace, sustainable rooftop garden project at the University of Leeds, Cycling in the City and it’s impact on our Greener Future, along with twelve similar PeaceJam projects. Regrouping at LTU in the late afternoon for the final family group session of the weekend gave all delegates a chance to relax as Mairead flew back to Ireland and Dawn and Ivan the co-founders of PeaceJam headed back to America. At 5pm the closing ceremony was a mixture of happiness gathered from the two days of the conference, sadness from having to leave new found friends so soon and anticipation and excitement at what the future may hold for all the new PeaceJam projects across Leeds and Bradford.